The Department of Labor (DOL), Internal Revenue Service (IRS), and Pension Benefit Guaranty Corporation (PBGC) each have been dealing with lost participant issues. It is important for plan sponsors and fiduciaries to be sure they—or their plan recordkeeper—have an appropriate process in place to at least attempt to find lost participants. Failure to locate a missing participant is a fiduciary breach even though plan procedures were followed. “Reasonable search steps” include trying a different search method each year to locate lost participants. It is a prohibited transaction to use forfeited participant accounts for appropriate plan-related purposes, even though there is a continuing obligation to restore the account if the participant is located. The American Benefits Council has requested that the DOL issue comprehensive guidance on the handling of lost participant accounts. Use additional paid tools, if appropriate, based on the size of the accounts and costs involved. At the end of 2017, the PBGC finalized a regulation detailing how it will help with lost participant situations in terminating defined contribution plans. Advising participants on how to invest after a plan distribution. Both types of advice are conflicted if the recordkeeper can make money based on the participants’ choices. The expanded rule is designed to protect participants from these conflicts. Plan fiduciaries’ duty is to monitor the advice provided to be sure it is reasonable and in their plan participants’ best interests. CAPTRUST is assessing recordkeepers’ reporting capabilities in this area and will be advising clients on monitoring. The court also found that the plan’s fiduciaries failed to follow the investment policy statement in the selection of the Fidelity Freedom Funds. The court compared returns of the Wellington Fund and the Freedom Funds following the change and found the plan fiduciaries liable for $21.8 million. The appeals court directed the district court to reconsider its approach to calculating damages, but did not mandate a different approach. On reconsideration, the district court held firm to its approach, noting that it was assessing damages for the fiduciaries’ conflict-of-interest breach in moving out of the Wellington Fund, rather than for their following an improper procedure in selecting a target date fund to replace the Wellington Fund. Additional briefing is pending for the court to decide a liability amount in the current iteration of this case. A plan participant began participation in a pension plan at age 41. Seven years later, he was diagnosed with multiple sclerosis. In the ensuing years, he worked and then went on total disability until his retirement date. Calculation of his pension benefit was complicated and the plan provisions that affected him were ambiguous. One interpretation provided a $7,000 monthly payment; however, the participant preferred an interpretation that would have produced a significantly larger benefit. The plan administrator concluded that the proper interpretation of the plan produced the $7,000 monthly benefit, and the participant appealed. The plan was properly drafted to give deference to the plan administrator’s interpretations if they were reasonable; that is, unless they were arbitrary and capricious. A key ground for appeal was that the plan administrator had a conflict of interest. The lower pension benefit would help the plan sponsor by requiring lower payments from the plan and less funding from the plan sponsor. The court rejected this argument, noting that the mere presence of a conflict does not make the plan administrator’s decision suspect. Presence of a conflict alone does not remove deference to the plan administrator; it is just another factor in deciding the reasonableness of the plan administrator’s decision. Dowling v. Pension Plan for Salaried Employees of Union Pacific Corporation and Affiliates (3rd Cir. 2017). Failed to fully evaluate an earlier medical diagnosis. The inherent conflict in many real-life situations, such as was presented in the Dowling case, should not compromise the plan administrators’ right to deference so long as the plan is properly drafted. Fiduciaries of a defined benefit pension plan that was sponsored by a financial services firm were sued for using only a plan sponsor affiliate’s investments, among other things. The sponsor’s investments were allegedly more expensive and produced lower returns than other available investments. The suit included the period from 2007 to 2011, during which the plan went from being overfunded to being significantly underfunded. It is unusual for pension plan sponsors to be sued for issues of this type, so long as benefit payments are made when due, because, unless the plan terminates, the plan sponsor will be responsible to fund the plan to pay benefits. While the litigation was pending, the combination of investment returns and plan sponsor contributions caused the plan to become fully funded. As a result, regardless of whether there was a breach, there was ultimately no harm to the plan or its participants. As a result, the suit was dismissed as being moot. The court of appeals upheld dismissal. Thole v. United States Bank, N.A. (8th Cir. 2017). Although their claim was dismissed, the plaintiffs sought a recovery of their attorney’s fees, contending that the litigation caused the plan sponsor to make contributions to fully fund the plan (along with investment returns). The court was not persuaded, noting that there were independent business reasons to fully fund the plan. The attorney’s fee request was denied. Life insurance beneficiaries under an employer’s benefit plan sued Prudential Insurance Company, alleging that the process for paying life insurance proceeds violated ERISA. The life insurance policies in this situation provided for life insurance proceeds to be paid in “one sum.” Even so, Prudential deposited the proceeds in a noninterest-bearing retained-asset account and issued the beneficiaries checkbooks. The beneficiaries could then draw on death benefit proceeds as they chose, and Prudential retained any interest earned on the account. This situation fell under ERISA’s umbrella because the life insurance was provided as an employee benefit. The court noted that by not distributing insurance proceeds as prescribed in the plan documents, Prudential retained a continuing fiduciary responsibility to the beneficiaries. Had the plan documents provided for distribution through a retained asset account, Prudential’s ERISA fiduciary responsibilities would have ended upon establishment of the retained-asset account. Alternatively, if the insurance benefits had been paid in one sum, Prudential’s ERISA fiduciary responsibilities would have ended. However, as a fiduciary it was a breach for Prudential to act with its own interests in mind, profiting from undistributed monies in the retained-asset accounts. Although there were no direct losses to the beneficiaries, the court found that the appropriate measure of damages would be disgorgement of money made by Prudential on the undistributed retained-asset accounts. Huffman v. Prudential Insurance Co. of America (E.D. PA 2017). An employee named his wife as his beneficiary in his employer-sponsored life insurance program. They later divorced, but he did not change the beneficiary designation. Soon after the divorce, the participant updated his will to leave everything to his children. Within a year, the employee died, and both the former wife and children claimed the life insurance benefits. Montana state law provides that in the event of a divorce or annulment, prior beneficiary designations to a former spouse are revoked. Being unsure who to pay, the insurance company submitted the question to a court through an interpleader action. ERISA Statute of Limitations Can Be Waived—ERISA includes a six-year statute of limitation for fiduciary breach claims. In DOL v. Preston (11th Cir. 2017), a plan fiduciary was sued by the Department of Labor alleging various fiduciary breaches in conjunction with an employee stock ownership plan in 2006 and in 2008. 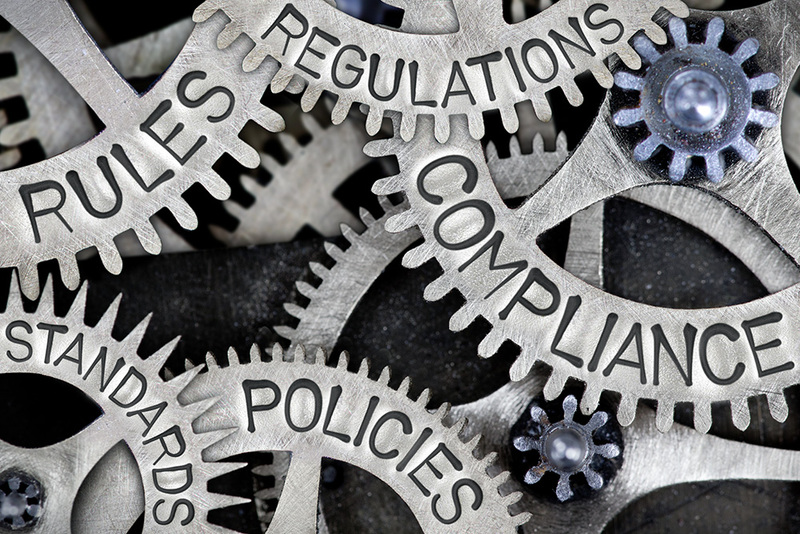 During negotiations, the parties entered into a series of “tolling agreements,” extending the time during which suit could be filed beyond the ERISA six-year limit. Upon reaching an impasse, the DOL filed suit. The participant argued that ERISA’s six-year statute of limitation could not be extended, so the case must be dismissed. In a sarcastically worded opinion, the court noted that even many constitutional rights can be waived, and there was no basis for the argument that ERISA’s statute of limitation could not. Jurisdiction Provisions in Retirement Plans Prevail—Many contracts include forum selection clauses, requiring that if a lawsuit is filed in conjunction with the contact, it must be filed in a particular jurisdiction—usually one convenient to the drafter of the contract. In In re Mathis (7th Cir. 2017), the court upheld a forum selection clause in an ERISA-covered disability plan. An employee of Caterpillar who lived and worked in Pennsylvania had a disability claim. He sued in the Eastern District of Pennsylvania. At Caterpillar’s request and pursuant to the plan documents, the case was removed to the Central District of Illinois. The participant unsuccessfully challenged having the case moved to a court that was inconvenient—for him.